Know the facts about morphine and connect with help and support to keep your child safe. What are some slang terms for morphine? What does morphine look like? Morphine is commonly available in the form of a tablet, syrup, injection or as a suppository. 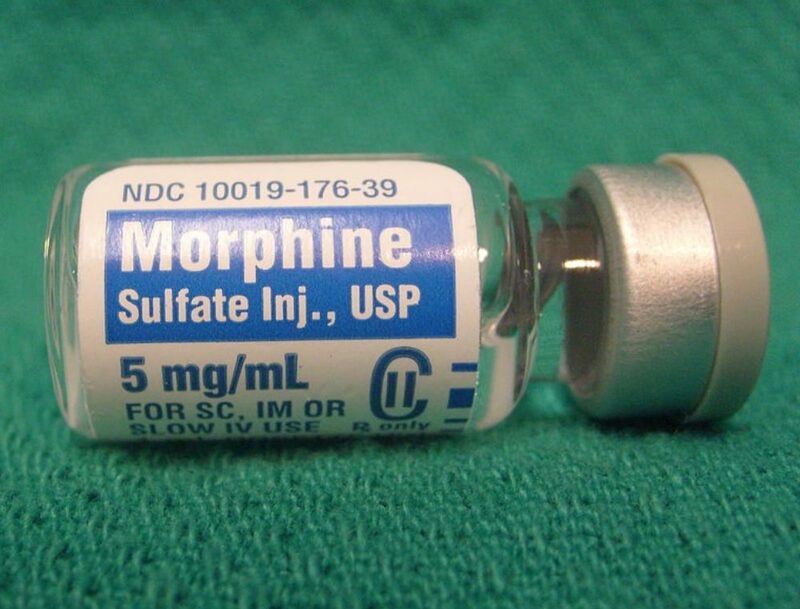 Depending on its form, morphine may be injected, swallowed, or even smoked. What do young people hear about morphine? Morphine use produces initial feelings of euphoria. What are the risks or morphine use? Morphine can produce drowsiness, can cause constipation, and, depending upon the amount taken, can depress breathing. Taking a large single dose could cause severe respiratory depression, coma or death. 1Drugs of Abuse | A DEA Resource Guide: 2017 Edition. “Morphine.” Drug Enforcement Agency, 2017. Web. https://www.dea.gov/sites/default/files/sites/getsmartaboutdrugs.com/files/publications/DoA_2017Ed_Updated_6.16.17.pdf#page=45. Accessed 26 Oct. 2018. 2MedlinePlus. “Morphine.” US National Library of Medicine, 15 March. 2018, https://medlineplus.gov/druginfo/meds/a682133.html. Accessed 26 Oct. 2018.